The Biosphere Soundscapes virtual platform, developed in collaboration with cultural development agency Feral Arts, are being built with three key systems in mind. The first is the BioScapes Residencies, the core activity in implementing this global project. All of the sound, text and imagery from the Bioscapes Residencies will be geo-located in the interactive Biosphere map and also available through a timeline feature to trace the history of the project and compare the soundscapes. Biosphere Soundscapes pivots on a site-specific soundscape project embedded in a multi-layered community cultural engagement process developed in response to a specific Biosphere Reserve and community. The process (usually two weeks of cultural immersion), is led by a resident sound artist who will work on their own creative project, map the soundscape of the biosphere and guide the community through a series of activities, workshops and creative outcomes. A fascinating Ecosystem of the hill ranges of Nilgiris and its surrounding environments covering a tract of over 5000 Square kilometers was constituted as Nilgiris Biosphere Reserve by UNESCO in September 1986 under Man and Biosphere Programme. 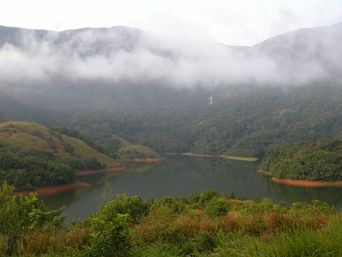 Nilgiris Biosphere Reserve is India's first and foremost biosphere reserve with a heritage rich in flora and fauna. The Biosphere Soundscapes residency currently in development will involve six professional sound artists working with the local community in capturing and preserving local soundscapes, sound mapping the region and creatively responding to the material.